Health risks associated with cigar smoking are lower than those for cigarette smoking, reflecting a lower exposure to smoke toxicants (see my earlier post here). The same holds true for pipe smoking, as a 2004 American Cancer Society study documented (abstract here). Dr. S. Jane Henley and colleagues examined data from the Cancer Society’s Second Cancer Prevention Survey, which enrolled participants in 1982. 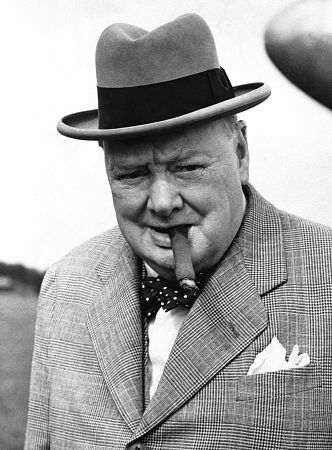 They compared deaths among exclusive men pipe smokers with those among never tobacco users over the next 18 years. They also considered the number of pipes smoked each day, duration of smoking, and how much smokers inhaled. The results are expressed as hazard ratios (HRs, similar to relative risks); a confidence interval spanning 1.0 means the risk elevation was not statistically significant. The table shows that pipe smokers had small to moderate elevations for several smoking-related diseases, with the risk for laryngeal cancer remarkably high. The Cancer Society’s analysis of pipe smoking was thorough (in stark contrast to its consideration of smokeless tobacco, discussed here), producing a wealth of insights. For example, the overall HR for lung cancer among pipe smokers was 5.0, but there was a distinct gradient related to the number of pipes smoked per day. The HR was 2.0 with one to three pipes, but it increased to 7.7 for 11+ pipes per day. There was a similar trend with longer duration of smoking, and inhalation played a major role. The lung cancer HR was 2.9 for pipe smokers who didn’t inhale, but 11.1 for those reporting moderate or deep inhalation. Other diseases showed similar trends with dose, duration and inhalation, although some results weren’t statistically significant. Dr. Henley also illustrated that alcohol is a powerful risk factor for cancers of the oral cavity, pharynx, larynx and esophagus. 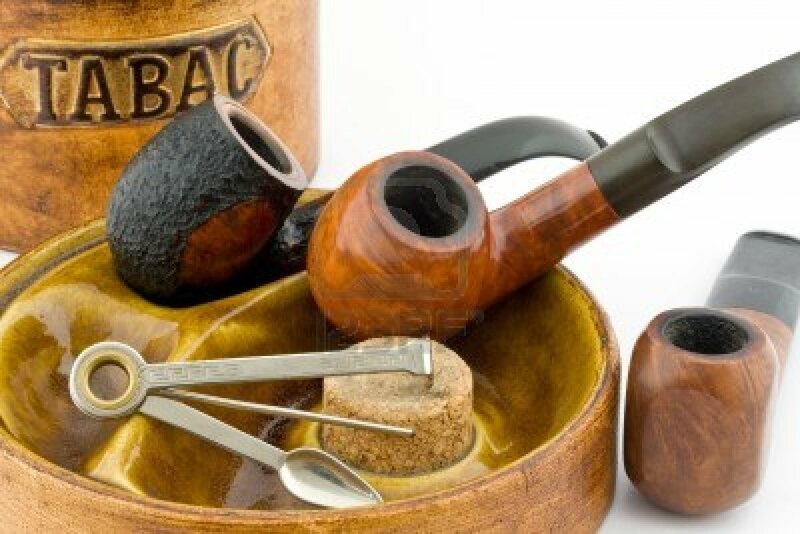 Pipe smokers who consumed less than one alcoholic drink per day had no increased risk for these cancers. Those consuming 1-3 drinks had an HR of 4.7 (CI = 1.8 – 11.9), while those consuming 4+ drinks had much higher risk (HR = 15, CI = 5.9 – 39). Never smokers consuming 4+ drinks also had elevated risk for these cancers (HR = 2.3, CI = 1.2 – 4.3). 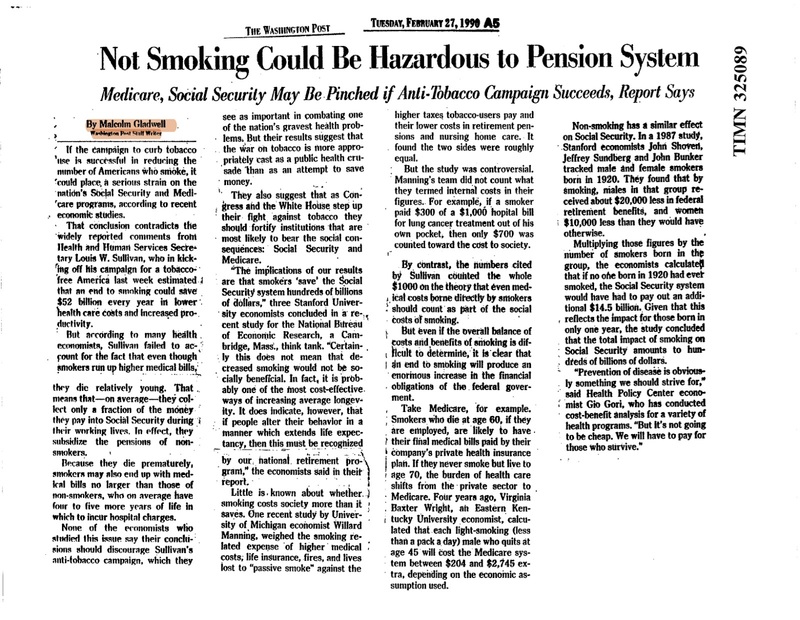 “These risks,” according to the researchers, “were generally smaller than those associated with cigarette smoking and similar to or larger than those associated with cigar smoking.” This confirms one of the tenets of tobacco harm reduction: it’s the smoke that kills, and the risk is proportionate to how much, how long and how deeply smoke is inhaled. American Legacy Foundation staff, led by Dr. Jennifer Pearson, reported two surveys gauging awareness, use and perceptions of e-cigarettes. The research was published in the American Journal of Public Health (abstract here). One survey, the online KnowledgePanel, included 2,649 never, current and former smokers. The other, the Legacy Longitudinal Smoker Cohort (LLSC), surveyed 3,658 current and former smokers. Major findings appear in the table. In both surveys, nearly 6 out of 10 smokers were aware of e-cigarettes – a higher percentage than among former smokers (42%) or never smokers (33%) in the KnowledgePanel survey. However, only 6-11% of current smokers had used the devices; trial among former smokers was even lower. Only 4% of smokers had used e-cigarettes in the past 30 days. Among current smokers who were aware of e-cigarettes, 71-85% correctly believed they are less harmful than cigarettes. The remainder, unfortunately, believed that e-cigarettes are just as or more harmful. The American Legacy Foundation “is dedicated to building a world where young people reject tobacco and anyone can quit.” In their introduction, the authors write that e-cigarettes “could act as a starter product for combustible cigarettes, especially among youths or young adults…”, but they offer no data on e-cigarette use among youth; even among adult never smokers, ever use is a minuscule 0.5%. Dr. Pearson and colleagues suggest that e-cigarettes “may lure former smokers to return to nicotine dependence, delay cessation among current smokers, serve as a dual-use product, or enable individuals to avoid smoking restrictions.” None of these concerns are supported by data. There is no evidence that e-cigarettes “lure” former smokers into nicotine dependence. Even if this did occur, it would not be a legitimate reason to deny current smokers access to them. There is no proof that e-cigarettes delay cessation among current smokers. 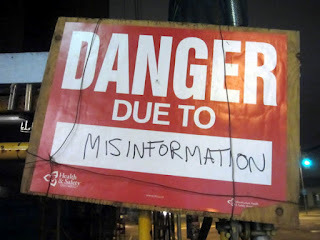 In fact, Dr. Pearson writes that “The [KnowledgePanel] survey data suggested that some smokers who were interested in quitting were using [e-cigarettes] as cessation devices…” She asserts that this was “possibly discouraging the use of proven smoking cessation treatments…” As I discussed several weeks ago (here), pharmaceutical nicotine products are “proven” to fail for 93% of smokers; this is enough to discourage their use. Dr. Pearson and colleagues opine that, “Given the widespread availability, awareness, and use of [e-cigarettes] by millions of consumers, [they] should not be marketed until adequately tested and regulated by the FDA.” In the coming months, the FDA is likely to issue regulations for e-cigarettes as tobacco products. Already, millions of smokers are aware of e-cigarettes; a smaller number have used them; and many have learned that vaping is vastly safer than – and can successfully replace – smoking. I recently discussed research showing that warnings on smokeless tobacco (ST or SLT) products discourage smokers from switching, while messages describing risk differentials between ST products and cigarettes encourage switching (here). A new study provides further evidence that federally-mandated warnings in ST advertisements undermine the likelihood of comparative risk information motivating switching. The study was published in the Journal of Consumer Affairs (abstract here) by Michael L. Capella, Charles R. Taylor and Jeremy Kees, professors in the School of Business at Villanova University. Capella and colleagues modified Camel Snus advertisements to display a current federal health warning (“This product can cause mouth cancer”) with or without a harm reduction statement (HRS), such as “Using This Product is 90% Safer Than Cigarettes” or “Using This Product is 90% Less Hazardous Than Cigarettes.” They measured the effect these messages had on perceptions of ST risks and the intention to use ST among smokers and non-smokers. This research demonstrates that federally-mandated warnings on ST products would essentially negate harm reduction messages. The data also suggests that these warnings reinforce smokers’ mistaken beliefs that ST is as dangerous as cigarettes, effectively discouraging smokers from switching. This is consistent with the federal government’s abstinence-only public health messaging, which basically abandons nicotine-addicted inveterate smokers. Why did Capella and colleagues include non-smokers in their research? They explain, “Under the law, promoting new SLT products associated with lower health risks as ‘harm reducing’ can be approved only if makers can demonstrate health benefits to society as a whole. 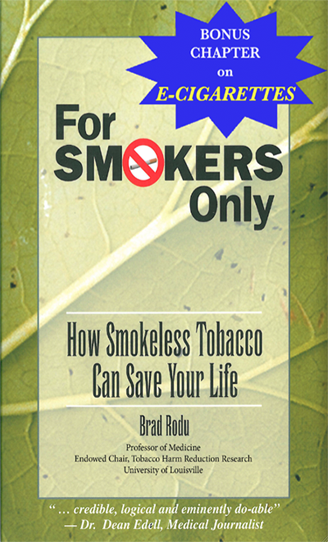 The SLT products would need to be sure to not induce nonsmokers or would-be quitters to try SLT rather than abstaining.” (emphasis added). 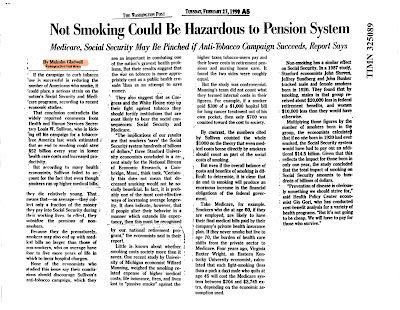 In other words, a manufacturer must prove that an HRS will not induce a non-smoker, or a smoker who would otherwise quit smoking, to switch to ST.
Anti-tobacco forces often argue that smokers are a burden on the American economy. When Congress debated FDA tobacco regulation in 2009, the White House advised that tobacco use “accounts for over a $100 billion annually in financial costs to the economy” (here). In 2011, the CDC estimated smoking costs at $193 billion (here). New data from a highly credible source reinforce a very different perspective on the issue. In June, the non-partisan Congressional Budget Office (CBO) produced a financial analysis of a hypothetical federal cigarette tax increase (available here). It reveals that quitting smoking is a money-saver for the government in some respects, and a money-loser in others. Using standard methodology, the CBO studied the effects on the federal budget of “a hypothetical increase of 50 cents per pack in the federal excise tax on cigarettes and small cigars (adjusted each year to keep pace with inflation)…” The analysis focuses mainly on the period 2013 to 2021, with long-term projections to 2085. The CBO estimates that the tax increase would produce a gain of $41 billion through 2021. Most of the gain ($38 billion) would come from increased tax revenues. Another $3 billion would come from income tax receipts related to increased productivity among former smokers. Medicaid/Medicare savings would exceed increased Social Security payments until 2025. After that, Social Security increases due to increased longevity would exceed Medicaid/Medicare savings. Not smoking is associated with increased longevity, which is associated with increased net costs for the health care system, rather than savings. Despite the research, the CDC refuses to consider smoking-related health care costs and savings. This narrow perspective has been criticized by Vanderbilt economist Kip Viscusi: “It looks unpleasant or ghoulish to look at the cost savings as well as the cost increases and it's not a good thing that smoking kills people. But if you're going to follow this health-cost train all the way, you have to take into account all the effects, not just the ones you like…” (quoted here).